The presidential office says prior consultations were held between the two Koreas on the idea of holding high-level talks next Monday. 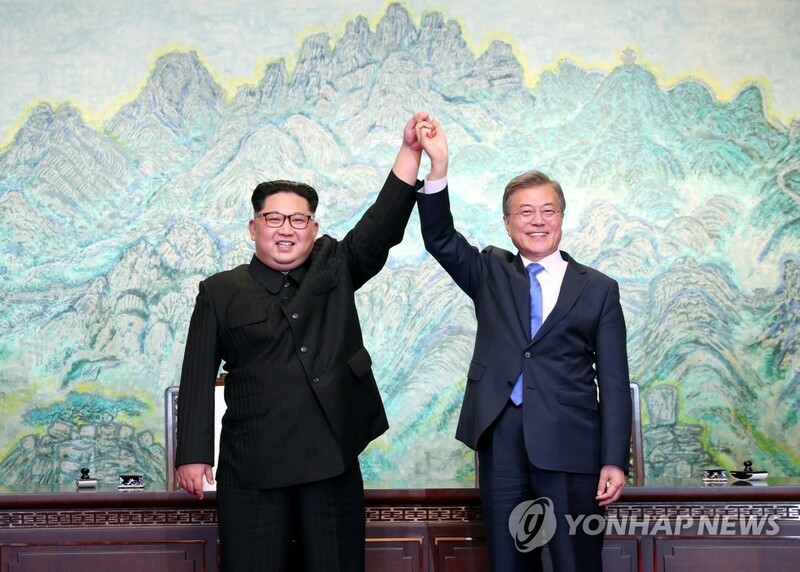 Presidential Spokesman Kim Eui-kyeom told reporters on Friday that the two Koreas had exchanged views through various channels before the North had made an official proposal on the talks on Thursday. Asked when President Moon Jae-in and North Korean leader Kim Jong-un will sit down for another summit, Kim said the two Koreas are likely to work out the matter during the high-level talks. On the venue of the summit, Kim said it will not be limited to Pyongyang though the capital was mentioned as the location of the next inter-Korean summit in the Panmunjeom Declaration. Kim said Seoul will discover in Monday's talks if the North prefers holding the summit somewhere else other than Pyongyang. On declaring a formal end to the Korean War, Kim said Washington and Pyongyang are currently discussing the matter at the moment. He said South Korea hopes the North will take denuclearization steps and the U.S. will take reciprocal concessions to build mutual trust and establish a nuclear-free and peaceful Korean Peninsula. Prev :Koreas Postpone Joint Inspection on Gyeongui Line to Next Mon.